To prove my point, I obtained a quote on the exact same document from three different online proofreading services and compared the proofreading rates to Kibin’s. I was shocked at the prices these other companies are charging for edits. And it’s not for the reason you might think. The more expensive proofreading rates don’t have anything to do with quality of service or turn around time. Instead, they have everything to do with online proofreading services charging you unfairly for work that an editor will never, ever touch. And as an editor myself, I can say this with authority. At Kibin, our engineer and CTO, Jim Nguyen, developed a word counter that is much fairer in terms of how it assesses our proofreading rates and determines what to charge you for, and what not to. When it comes down to it, there can be a huge discrepancy between what you should be charged for, and what Microsoft Word’s counter counts as a word. The major difference between our custom engineered counter and Word’s is that we don’t count numbers and symbols as words. How many words do you count in the above two-line address? Microsoft Word says 6 words. Our system counts 4 words. Which one is correct? You see all those check marked columns under “Criteria” and the numbers 1,2,3? Word counts each check mark as one word. That means if you had 1,000 check mark symbols on your Word document, your document would be counted as having 1,000 extra words. Don’t forget to count the single digits “1,” “2,” and “3.” Those are also counted as words. 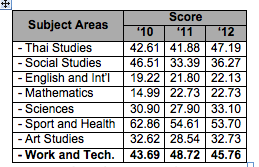 If you look at the right-hand “Criteria” column alone, Microsoft Word counts 22 words. 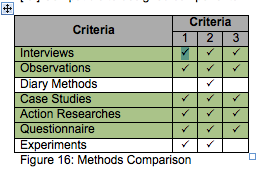 At Kibin, we would count that right-hand “Criteria” column as one word (“Criteria” is a word). This research document is littered with numbers, facts, and figures (but mostly numbers). Each of these numbers counts as a word according to Microsoft Word’s word counter. We don’t count them. That means that in this chart alone, Microsoft counts 27 more words than we do. This table has lots of algorithms, symbols, and numbers. Yes, all of the symbols and numbers count as words according to Microsoft Word’s counter. Hang in there! I’m getting to my point. I tried deleting all of the tables in this document that had check marks and numbers in them, and the word count actually went down by 600 words. That still leaves another 400 extra “words” being counted that can be accounted for in all of the numbers and equations in the paragraphs. This brings me to my point—Word’s word counter is deeply flawed, so we don’t use it for determining our proofreading rates because we refuse to charge you for a single word that an editor, any editor, is definitely not going to edit. Because not every editing company out there recognizes this flaw, they may be charging you more than what is fair. The sad truth is, most online proofreading services are ripping you off, intentionally or not. For example, I recently edited a mathematics dissertation that was full of algorithms, symbols, and equations. Just out of curiosity, I wondered about the proofreading rates that other online editing services would quote for this document. First, I ran the document through Kibin’s pricing system. 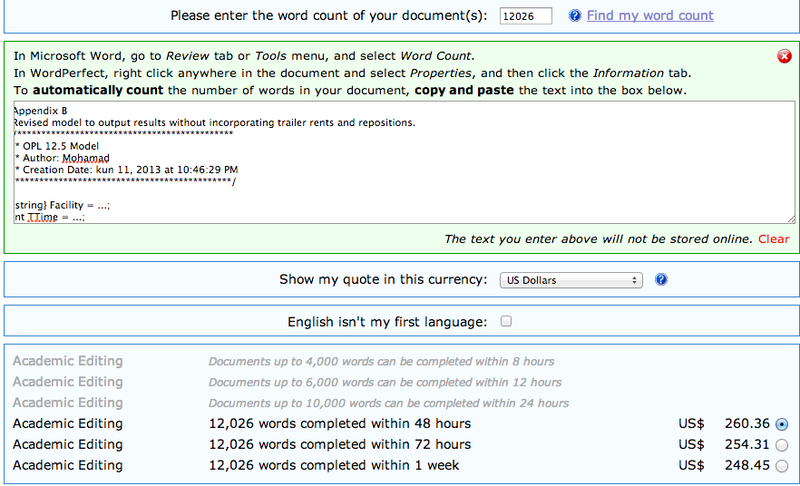 It counted 8,621 words and quoted a price of $181.04 for a 48-hour turn around. This equates to a proofreading rate of .02 cents/word. 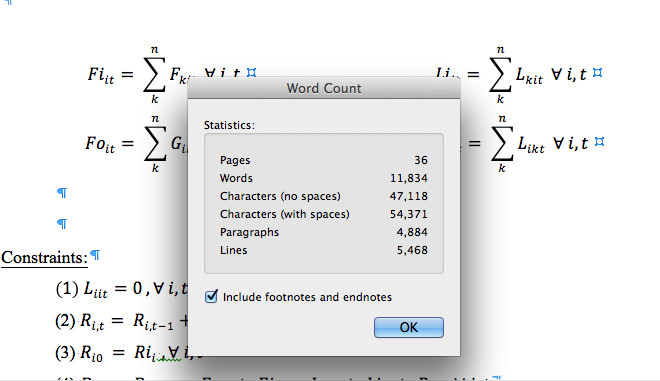 Now, it’s important to note that Microsoft Word counts 11,834 words. The difference in count, as we explained above, is due to the fact that Word is counting every single symbol and number in the document. And this doc is chock-full of these things. If Kibin charged according to Microsoft’s counter, the price would be quite different: 11,834 words x .02 cents/word= $236.68. Because our counter only counts words, you automatically save: $55.64. I decided to plug this same document into Company A’s quote form. This company’s automatic counter counted a whopping 12,026 words (somehow even higher than what Microsoft Word calculated!) The price tag on the exact same document was $260.36 for a 48-hour turn around! If you divide $260.36 by the true word count of 8,621 words, you realize that Company A is charging you a proofreading rate of .03 cents/word. By using Kibin you save: $79.32. Note that even if you enter the word count manually (using Microsoft Word’s inadequate system), Company A charges $255.85, which is still .03 cents/word. Company B’s system is set up a bit differently. For a 48-hour turn around, it charges a proofreading rate of $7.95/page, and defines a page as 300 words. Company B also charges $2.00 per reference. Our sample document has ten references to edit. The total charge at Company B for the exact same document is $332.06. Again, if you only count the actual words (8,621), this comes to a proofreading rate of .039 cents/word. By using Kibin, you save $151.02! How about Company C? I input the identical document into its auto-quote system, which spit out a quote based on 12,163 words (I have no idea where that number came from, as it is even higher than both Word’s and Company A’s counts). Company C charges $447.75 for a three-day turn around (it doesn’t offer a 48-hour window). 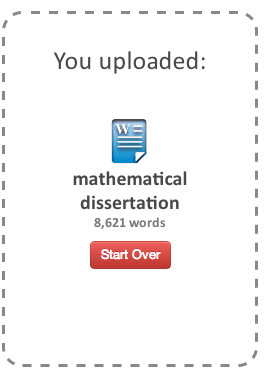 Using the actual word count of 8,621, this equates to a proofreading rate of .05 cents/word! By using Kibin, you save $266.71. That savings is more than the total price we charge for this document! Now, I’m not saying that any of these online proofreading services are intentionally ripping you off. Chances are, they haven’t thought very deeply about what exactly counts as a word. In light of this information, if you are shopping around for an online proofreading service, I recommend being wary of just what it is that companies are charging you to edit, especially if your document isn’t simply a string of nouns, adjectives, and verbs. If you don’t think this will matter with the documents you write, you might be surprised to find out that even if you’re not in the habit of writing mathematical dissertations, you may still be getting the short end of the word counter stick. Just to be sure that this wasn’t an isolated incident, I compared the word counts of 20 randomly selected documents. It turns out that 65% of the time, Word counted more words than Kibin did. Even on a typical, non-numeral heavy paper, you are likely to save up to 4% of the cost of editing based on our word counter alone. At Kibin, our stance is firm: we only count words as words in our proofreading rate, and everything else (numbers, symbols, and the like) is just not a word at all. And we’re not going to charge you for them.